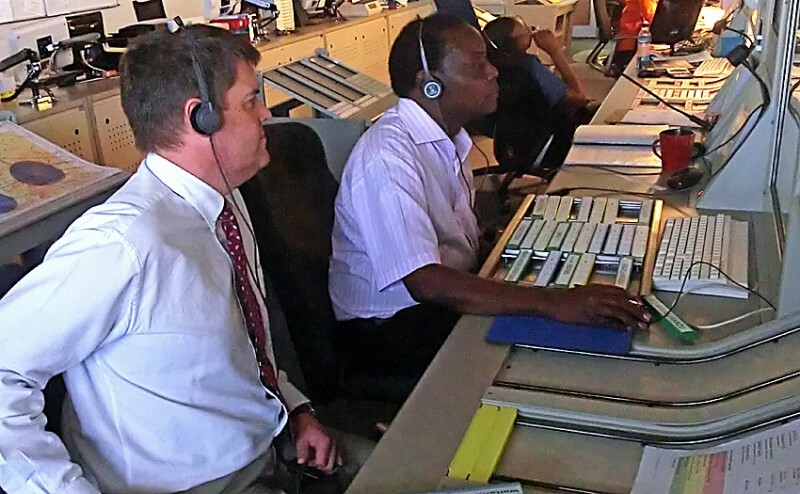 Ten days of system training in handling the Thales Eurocat-X Air Traffic Management System. Twenty days in the simulator including 50 hours of training in the Namibian airspace using Eurocat-X and radar/WAM information. During these 50 hours the trainees have met a range of different scenarios including busy and complex traffic and “degraded modes” operations with simulated technical problems. 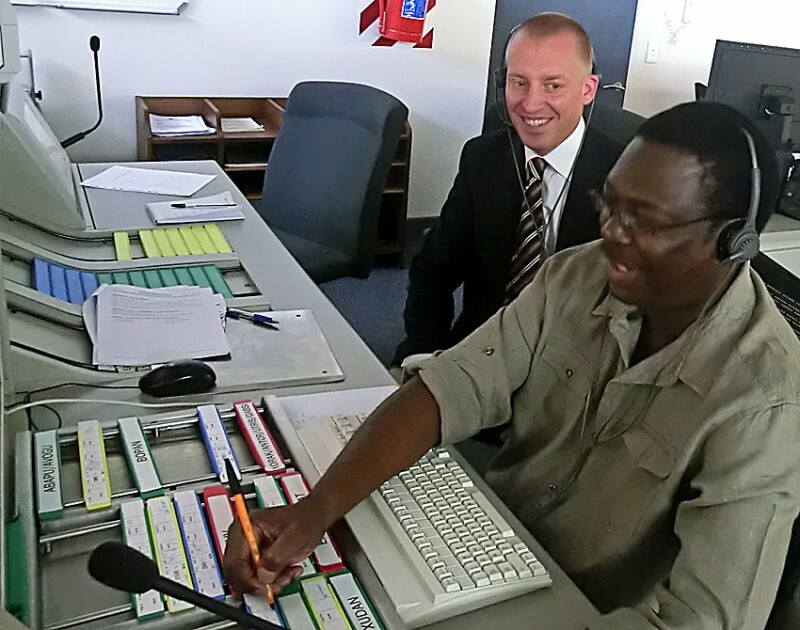 Mr Brian Likando, here with Johan Timius as instructor and assessor. Mr George Kizza, here with myself as instructor and assessor. And last but not least! 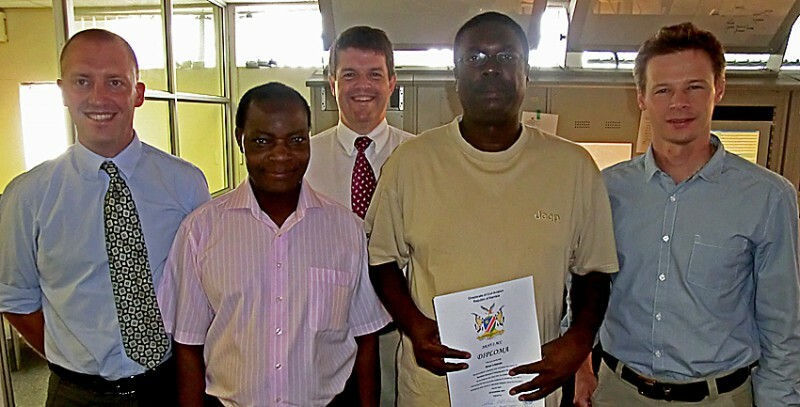 Today the first “final version” of the Windhoek ACC SSI (Standing Station Instructions) was sent for printing. Well done Fredrik and Peter!